Butlin’s ‘Just For Tots’ – Jam-Packed Full of Fun! LittleBird Alex, Mum of two, recently took her youngest (aged 4) to Butlins in Bognor Regis for the day to sample their ‘Just ForTots‘ midweek events, which are specially designed for Under 5’s. As Mum of a pre-schooler, this was a great opportunity for me to indulge my youngest whilst the oldest was at school and spend some quality time together. Lucky for us, it was a beautiful sunny day and the journey there was easy. We arrived to be greeted with a smile and an information pack on the day’s activities which had my little lad literally jumping up and down with excitement – what to do first?! …Well, we did it all!! Heading into the Skyline Pavilion, we flew aeroplanes, drove cars, rode on ladybugs, twirled in tea-cups, jumped around in soft-play, read books in the cosy Usborne reading corner and watched a puppet castle show, which had my usually fidgety lad entertained for 20 minutes – no mean feat! …And this was all BEFORE lunch! For lunch, we thought we would try Papa John’s, one of the many onsite cafes and restaurants. We enjoyed their extensive pizza and salad all-you-can-eat buffet, which was very reasonably priced at £9.99 for adults and £5.99 for children. Afterwards, we ventured to Billy’s Play Garden to zoom through tunnels, swing and play digging in the huge sand play area. I probably could have left my little lad there all day, happy as a sand-boy, quite literally! However, keen to explore further, I cajoled him away to find the Little Tikes play area. The only thing to entice mine away from this was the promise of swimming in the Splash waterworld, where we then spent almost 2 hours! With a brilliant wave machine, Little Tikes activity boats in the water, beach balls, floats, water fountains, slides, jets and so much more, it was just perfect for little ones and adults alike – hello sun loungers! Plus the pool was a great temperature too which meant no getting cold! We then wandered back into the Skyline Pavilion for a welcome hot chocolate and cake, and watched Billy and Bonnie’s storytime on the stage, which was a perfect wind down. 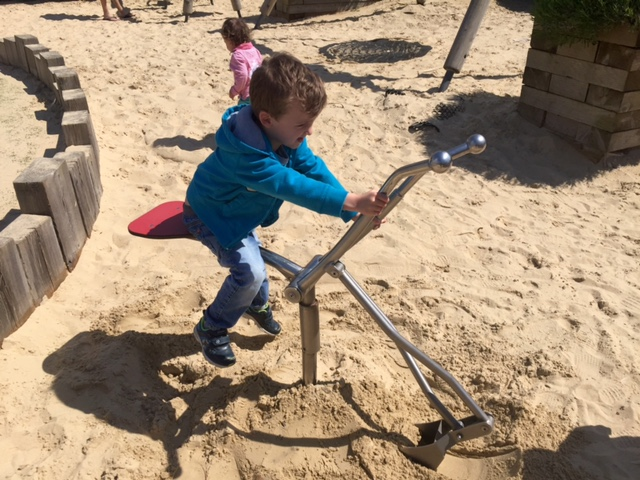 Refuelled and re-energised, we explored the wooden adventure park and various amusement arcades (the 2p machines were a real hit), before one last play in the Little Tikes Park. 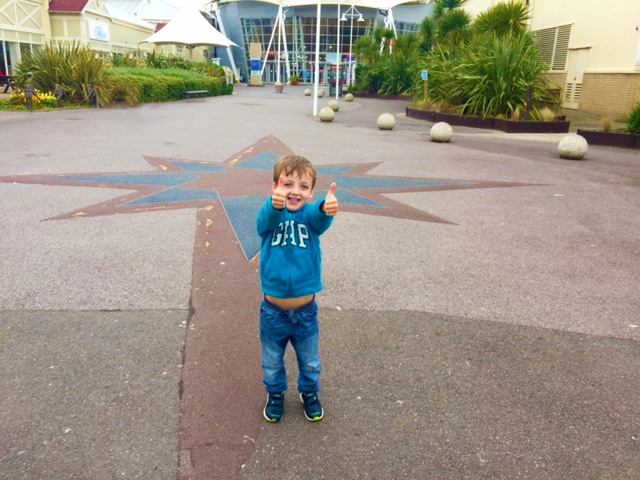 We didn’t quite make it to stay until the 8pm closing… At 6.45pm my little lad was zoning in for a cuddle with heavy eyes, so we headed off home, happy and exhausted and with a HUGE thumbs up for Butlins J4T! …So what did I think? 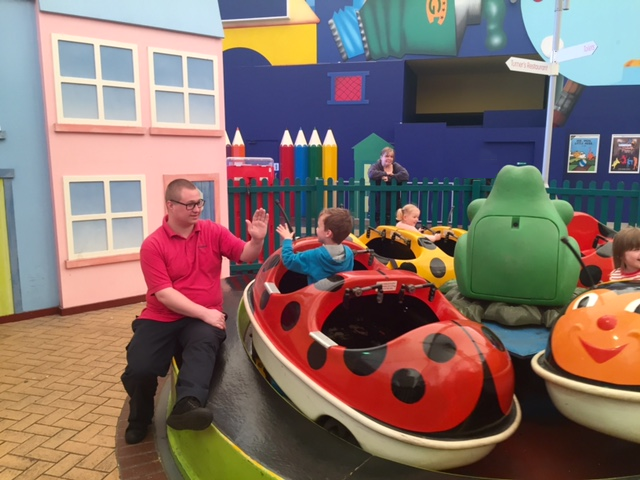 Butlins have so much to offer and the J4T days are such a fantastic idea to indulge the pre-schoolers. There was so much to do in a day that we didn’t quite fit it all in but all the activities were well thought out, perfect for the under 5’s and it was a real hit. It never felt busy, there was a fantastic family atmosphere and each and every member of staff were incredibly friendly and helpful; nothing was too much trouble. 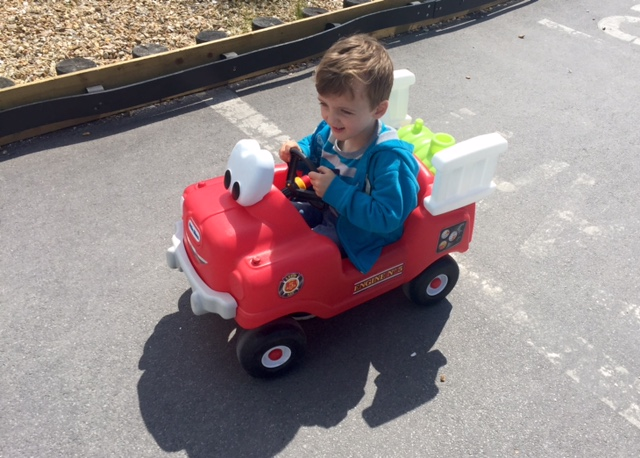 To the staff member who high-fived all the children around the rides, to the lady on reception who happily gave me change and directions, and the café staff who carried my drinks and indulged my son when he wanted to pay – thank you! The whole place was clean (especially the changing rooms – my usual bug bear! ), inviting, friendly and buzzing, and we queued less than 5 minutes for everything! I would definitely go back, even to stay for a few days – it would make a great family break. Take coins for the car park (£7) if you are a day visitor and £1 refundable for the swim lockers. 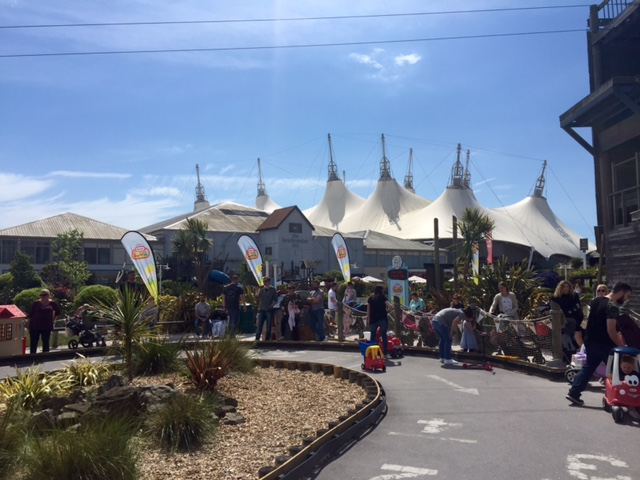 Butlins is also right on the beach and walking distance to the town centre with ample shops, so you can take a stroll and enjoy the best that sunny Bognor Regis has to offer. Enjoy 50% off Butlin’s Just 4 Tots Bognor Regis Day Passes currently on LittleBird!